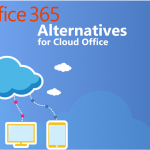 A hybrid cloud is an attractive solution for small and medium businesses. It allows customers to take care of business requirements by using all the capabilities that public cloud service providers provide, such as lower costs and innovative functionality. While at the same time opting to use private cloud for data and applications that are more sensitive. An important part of hybrid cloud deployments is integrating cloud-deployed data and applications with traditional enterprise apps and data. 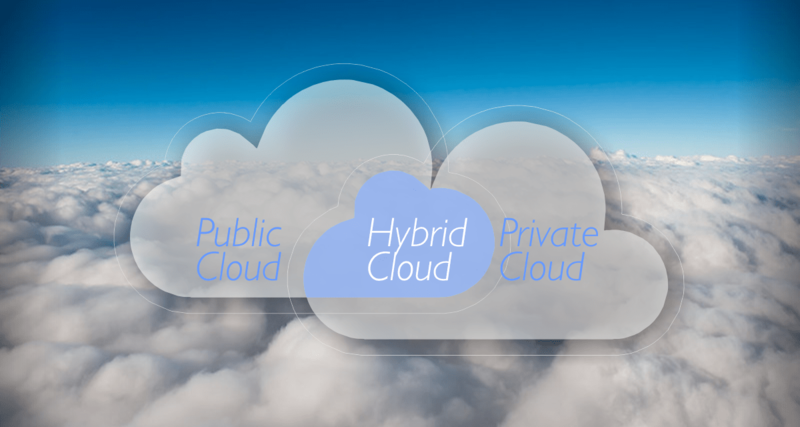 Why Should Small & Medium Businesses Opt for Hybrid Cloud? There are many use-cases for small business to adopt a hybrid cloud model. From offloading applications to big data management, hybrid cloud systems simply provide more flexibility for business and data centers. It is easier to deploy, bandwidth and networking capabilities have been improved. Even compliance-driven organizations can now use cloud computing. Hybrid cloud has overcome many of the inherent sacrifices businesses have to make when moving entirely to the cloud. Hybrid cloud is a lot quicker than working in the cloud. Especially when developed with a proper design that accounts for intensive data transfer and processing needs and moves them onto the business premises. Data that is not needed in real-time can be moved on to the cloud in this instance. Basic cloud solutions also do not offer the security and user management that the hybrid cloud offers. It is also a lot simpler to manage the hybrid cloud when it comes to premises, equipment and periodic management. The hybrid cloud is also more scalable. You can have unlimited resources at your fingertips if your business has a spike in demand. It can easily scale up to accommodate the increase in data, whereas in-house servers are not as flexible. Finally, with hybrid cloud, small businesses can opt for disaster recovery and backup options. Which are much cheaper than in traditional infrastructure. A vendor with a private cloud has a partnership with a public cloud provider. 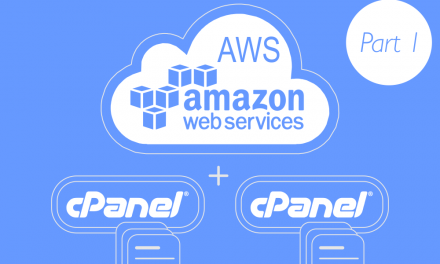 A public cloud provider has a partnership with a vendor who has a private cloud platform. 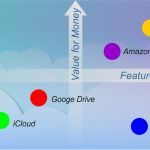 There are many combinations of cloud resources that small businesses can leverage, including a mix of different cloud service models. They are Infrastructure as a Service (IaaS), Platform as a Service (PaaS) and Software as a Service (SaaS). A hybrid cloud deployment could combine an on-premises IaaS cloud service along with a publicly hosted SaaS application. Building a hybrid cloud infrastructure is very similar to building any other data center, just that it is virtual. Therefore, it requires just as much forethought and planning. 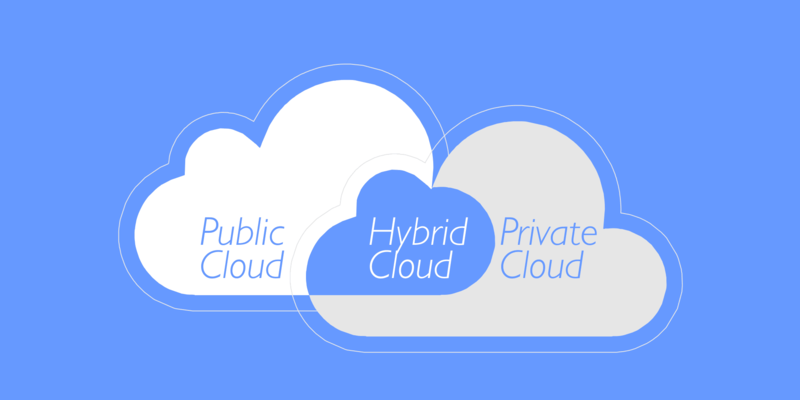 Hybrid cloud storage is a great way to supplement internal storage with public cloud storage. Best case practices recommend keeping frequently used data on-site, while moving inactive data to the cloud. Ideally the hybrid cloud implementation should feel as though it is homogenous storage. 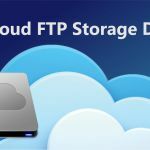 This can be easily implemented by using a cloud storage appliance that can be a gateway between on-premise and public cloud storage. You can also use API to access the cloud storage. 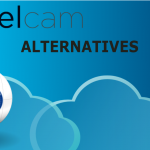 SpiderOak One offers hybrid cloud backup solution we have reviewed in our article: CrashPlan Alternatives for Cloud Backup. Businesses that require the use of a lot of streaming media and media hosting, the hybrid cloud can be a great solution. 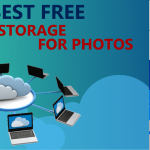 It is possible to have the video management application, as well as storage, in the cloud. You can have the distribution follow a hybrid approach and use software that is hosted in on-premises servers. This can help reduce bandwidth costs, and provide better control over content subsets. The scalability in this solution provides flexibility for growing businesses. While reducing network traffic provides better streaming experience. Startups that want to reduce capital expenses and avoid investing in expensive equipment may prefer the hybrid cloud. Just because it reduces the costs of an on-premise solution, while having no up-front costs for equipment. The pay-per-month model also allows small businesses to pay for only what they need, proving very cost effective. IoT systems must have architectures, operations and systems principles that accommodate the scale, privacy requirements, safety and reliability that the system demands. This is why hybrid cloud is a solid solution for such processes. The hybrid cloud offers the potential to use large amounts of resources. For example data storage, and has flexible and scalable resources for data analysis. Since IoT systems require a variety of processing software, hybrid cloud services are preferred. They are more adaptable and can deal with new firmware requirements or system updates. There are three subscription plans available, as well as products that include disaster recovery, dedicated cloud and virtual private cloud options. VMWare’s vCloud Hybrid Service (vCHS) offers better control over operations for the business cloud through its use of vSphere. vCHS is considered a secure hybrid cloud service that offers support for current workloads, third-party apps, as well as new app development. It also offers a good platform that allows for an easy transition from data centers to the public cloud, by using tools like vCloud Connector, vCloud Automation Center and vCenter Configuration Manager. Microsoft’s Windows Azure provides public cloud services that allow for new cloud application development, as well as smoother migration of current enterprise apps to the cloud. Their new Cloud Platform System (CPS) can handle legacy infrastructure, as well as sensitive information, on-premise, by using the same management tools as the Azure public cloud. However, Microsoft Azure is not the only player on cloud services market. 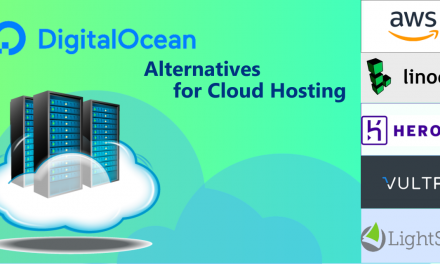 We have reviewed some of their competitors in our article Microsoft Azure Alternatives for Windows Server Cloud Hosting. Cisco primarily aims to assist enterprises in dealing with the faster changes in the requirement for cloud computing scalability and workloads etc. Intercloud, its offering, is a global cloud of clouds, and provides access to efficient IT services to everyone. They also play a massive role in identifying and deciding what the perfect hybrid cloud computing solution for a business would be. That wise approach helps them to gain a competitive edge over their competitors. Google’s Cloud Platform competes with AWS and Microsoftt Azure in the public cloud space. Similar to AWS, Google’s extensive partner network helps it fill out the hybrid cloud solution, and users can expect similar integrations to be available. Amazon Web Services (AWS) is one of the most well-known hybrid cloud solution providers that provide IaaS and PaaS cloud service models. 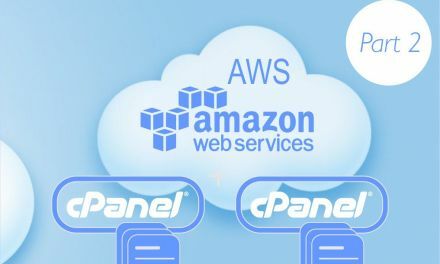 One of the most popular public cloud computing services providers, AWS provides seamless integrations for private data centers linking to public cloud services through Direct Connect. This can help businesses reduce network costs and improve bandwidth. AWS also offers integrations between on-premises, role-based access control system like Active Directory with its Identity and Access Management service. This can help companies that want to integrate data centers from within a company firewall, with public cloud platforms to handle spikes during peak usage periods. Rackspace has various combinations of infrastructure resources that includes cloud servers that provide higher scalability on demand, along with workload balancing. 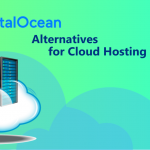 They offer a combination of dedicated hardware hosting as well as multi-tenant systems of virtual hardware resources that can fulfill the requirements of a business. 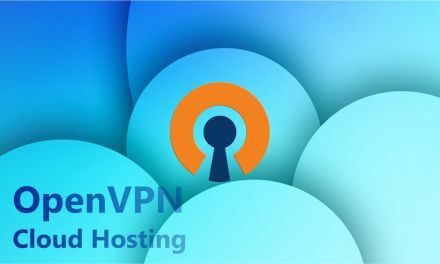 They also have connections between cloud resources and a Cisco ASA firewall that provides protection to the server connections, as well as VMware-based virtual servers and SAN storage capabilities. What kinds of workloads are we running? Assess your business’s computing requirements and consider which workloads would be right for a private cloud. 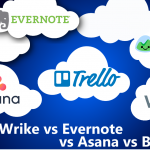 Also evaluate which o them would be better for the public cloud. Consider any regulatory requirements you may have, for instance, the need to store some records off-site, away from the original source. 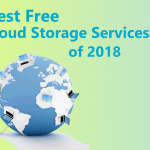 This would mean you could definitely use cloud backup as a way to be compliant. Similarly, there may be applications and data that would be better kept on-site. Most small businesses lack the in-house expertise to implement and manage a hybrid cloud infrastructure, which means they need to find an IT solutions and service provider. 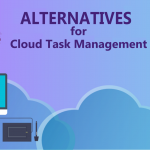 Choose one that will guide you through the process thoroughly, as the last thing you need is a service provider who leaves you without fully implementing your move to the cloud. Prior to choosing a provider, ask them how your data will be managed. How they are planning on encrypting it, and how you can retrieve your data from the cloud if you need to. How will you address security issues? Find out from your private cloud providers what on-site authentication and identity management protocols they will be using in the hybrid cloud environment. Make sure you go through Service Level Agreements. Inquire about multi-tenancy and the ability to scale. Make sure your data is protected and encrypted, and how this will change as your business grows. 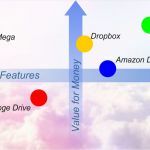 NextCloud Hosting: What is Cloud Hosting. A Beginner’s Guide.